Lock in a great price for The Pillars Hotel – rated 9.2 by recent guests! The property was so serene and is absolutely perfect if you are looking for a peaceful and relaxing getaway. It is beautifully located on the bay which provides incredibly calming views all day long. It is located in close proximity to the crowded beach but provides the perfect post-ocean swim refuge. We barely left the property and ended up staying an extra day because it was so great. Atmosphere like always welcome. All staff were very helpful and friendly. Nice designed room. Beautiful deck at the water front for breakfast and diner. Nice view overlooking the water. Very attentive staff and good breakfast. The staff did everything they could to make our stay outstanding! Very helpful friendly staff. The hotel was quiet but well located to access beach and entertainment. Perfect location and extremely quiet and relaxing. This hotel is petite in rooms but the luxury is astounding! We walked in and were floored from that very minute. The staff are all pleasant and easy to accomodate. Our room wasnt ready due to our early arrival but they just kept us in the know all the while. The grounds are immaculate and the views exquisite. It was a beautiful property! Staff were very helpful! Love the location too! Location-restaurant -beds and pillows excellent-Ambience plus. The Pillars Hotel This rating is a reflection of how the property compares to the industry standard when it comes to price, facilities and services available. It's based on a self-evaluation by the property. Use this rating to help choose your stay! Featuring an exceptional location on Fort Lauderdale's Intracoastal Waterway, moments from the area's main sites, this elegant hotel provides luxurious rooms, modern amenities and a full-service spa. With a private Water Bus stop right on-site, guests at The Pillars Hotel can easily explore some of the area's main sites. Vibrant Las Olas Boulevard, scenic kayaking to nearby islands and much more are all only moments away. While staying at The Pillars Hotel, guests can enjoy waterside dining at the on-site Secret Garden Restaurant, featuring fresh seafood and seasonal ingredients. Guests can also enjoy relaxing in the hotel's library or lounging by the outdoor swimming pool. Spacious guest rooms at The Pillars Hotel are furnished with all of the latest technologies, including flat-screen TVs. Guests will also enjoy relaxing on soft goose-down beds or browsing the internet with free wireless access. When would you like to stay at The Pillars Hotel? These rooms are located both on the first and second floors. Rooms feature one king bed, an outdoor sitting area and a wet bar area. These rooms are located both on the first and second floors. Rooms feature one king bed and an outdoor sitting area. Features a separate sitting area with a sofa bed. House Rules The Pillars Hotel takes special requests – add in the next step! The Pillars Hotel accepts these cards and reserves the right to temporarily hold an amount prior to arrival. Children under the age of 14 months can be accommodated in Run Of House and Superior King rooms. Good size room although bathroom was a bit small,excellent air con which was much needed and very comfy. Outside area of pool and resraurant was absolutely super alongside the water. Excellent view over waterway and water taxi stopped at the hotel. A little pricey. Although was expected. 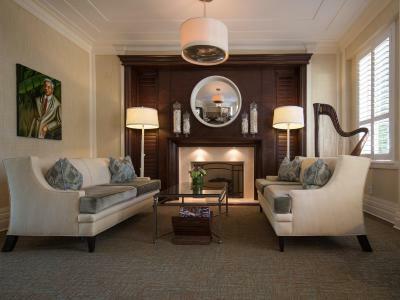 Small luxury hotel offering guests personal service, comfortable rooms, and good amenities. Great location and outlook. Enjoyed a delicious dinner at the exclusive waterside restaurant accompanied with boutique wine from an exclusive cellar. Excellent hotel for couples and romantic getaways. Uniqueness of the hotel and service. 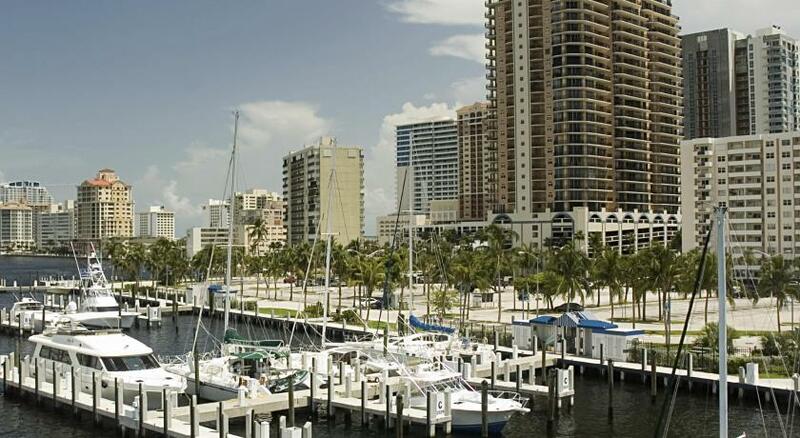 Good location away from major chain hotels that fill Fort Lauderdale. Bit of a hidden gem. Breakfast served on the deck overlooking the creek well worth the expense! The daytime staff were lovely but could use a little extra help because at times they seemed a little frazzled when it came to the fulfilling needs of those at the pool and dining area coinciding with check ins and outs. A wonderful boutique hotel situated close to restaurants, amenities and beaches. The Hotel has about 18 rooms. There was a wedding booked there on Saturday that took up the restaurant, the lounging area and the pool area. I feel other guests staying there should have been notified sooner than the day before the wedding. It is known for it*s quietness and privacy and felt that was lost for sure with the wedding. I would have chosen another spot had I known. This hotel was an amazing find. Very nice and personal due to its small size. Little touches like the free welcome drink and chocolates on the pillow were really appreciated. The dock was a lovely location to enjoy meals. We love this place. No complaints. This is an absolute Paradise. The beautiful design of the whole Hotel and the calm lowmusic ambiance is just perfect. The staff are real proffessionals and a splendid team. Small boutique hotel with outstanding service.